Mariano Rivera set a record this year in receiving 100% of the writers’ vote on his way to the Baseball Hall of Fame. The question for the 2020 class is how close his former teammate Derek Jeter will come. Jeter is the standout among first-timers on next-years Cooperstown ballot, his five-year waiting period exhausted after a stellar 20-year career that saw the shortstop hit .310/.377/.440, a 115 OPS+. He finished sixth all-time in hits (3,465), 11th in runs scored (1,923), and hit 544 doubles. 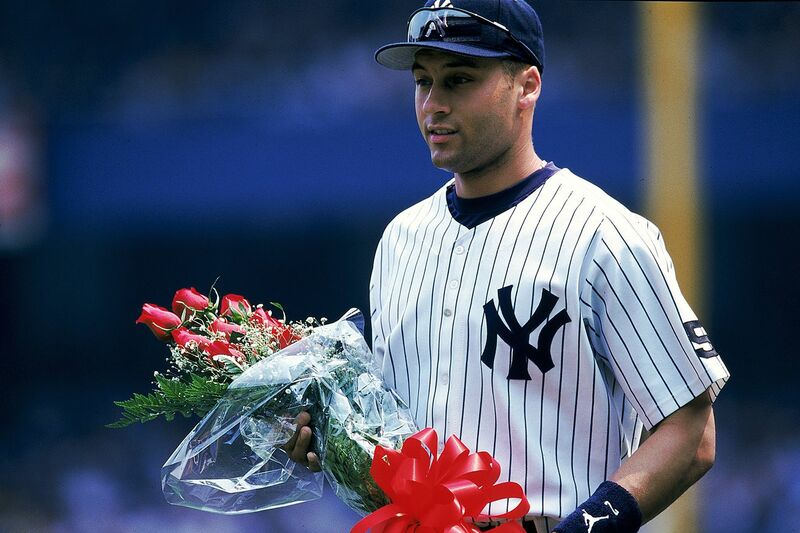 Jeter was an All-Star 14 times, won five Silver Slugger Awards, five Gold Glove Awards, and won five World Series with the New York Yankees (1996, 1998-2000, 2009). “When you look at the totality of Derek’s career, it is truly remarkable,” said Hall of Fame president Jeff Idelson. “Not only was he a phenomenal player, but he dignified the game with his class, and helped to grow it with his personal connection to fans who cheered him in all 30 ballparks. Other notable players eligible for the next Baseball Writers Association of America ballot include former MVP Jason Giambi and former Cy Young Award winner Cliff Lee. Outside of Jeter, who finished with 72.4 Wins Above Replacement, the highest WAR total among first-time eligible players is Bobby Abreu (60.0), who hit .291/.395/.475, a 128 OPS+ in his 18-year career. Giambi and Abreu were teammates with Jeter from 2006-2008 with the Yankees, but both were gone by 2009, when Jeter won his fifth World Series by beating Lee’s Phillies. Though Lee himself won both of his World Series starts that year, but Philadelphia lost in six games. Jeter is the only real lock on next year’s ballot, but other players eligible for 2020 include two-time World Series winner Josh Beckett, seven-time All-Star Alfonso Soriano, and a pair of sluggers — Adam Dunn (462) and Paul Konerko (439) — who combined for 901 home runs. They join a group of returnees on next year’s ballot, including Larry Walker in his 10th and final year of eligibility. Plus, we get Roger Clemens, Barry Bonds and Curt Schilling, all in their eighth year of eligibility.